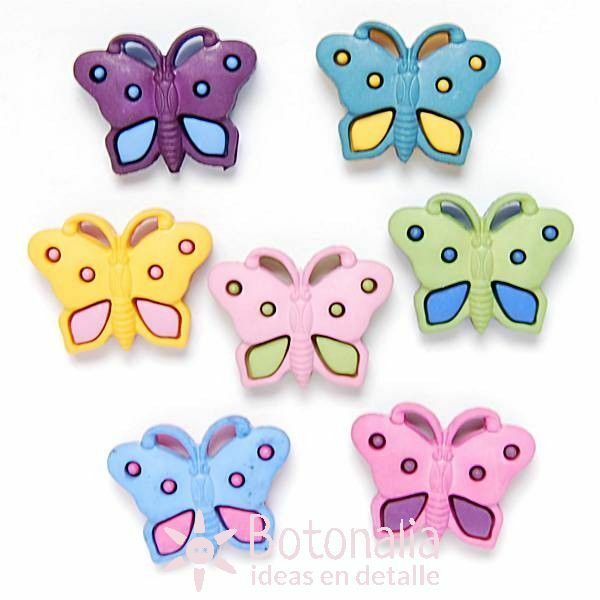 Embellishments with the shape of butterflies. Product Description: Embellishments with the shape of a butterfly To be used in needlework, craft, scrapbooking, patchwork and card making projects. Content: 7 embellishments of the same model, in different colors.